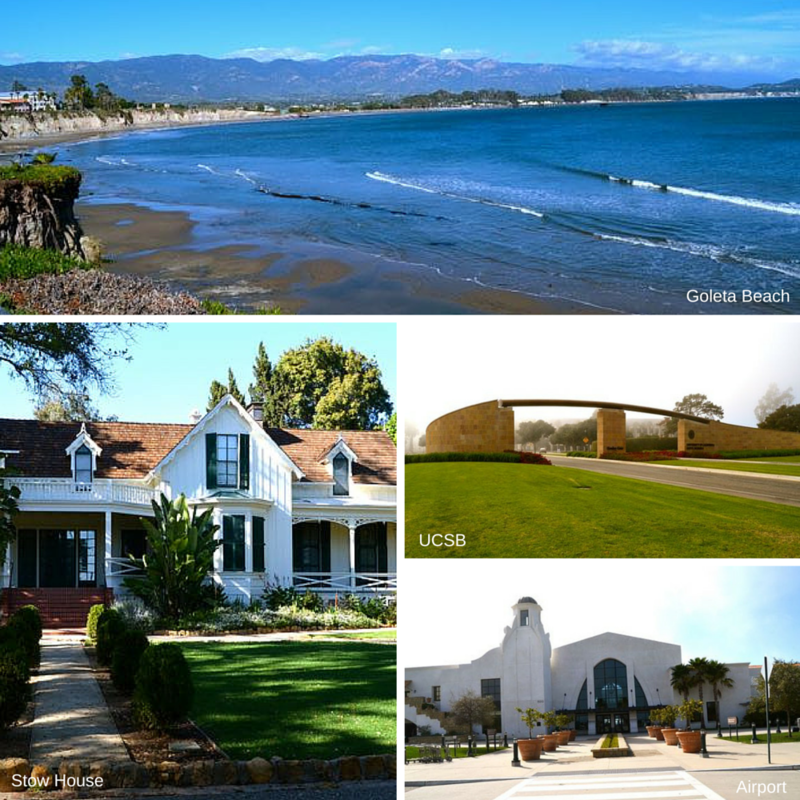 Some of Goleta’s notable amenities are: an expansive and rural coastline which wraps around open hills, fields, farms and estuaries, including the famous butterfly preserve and the University of California, Santa Barbara campus. Our quaint Spanish style airport is located next to the university and serves our community with public and private flights. New and innovative businesses have moved into the area, keeping our economy stable. Throughout the Goleta Valley and mountain area, real estate includes many different kinds of tract homes, custom homes, land and a lot of wide open spaces to enjoy parks and recreation.